Twelve years ago, when our son Michael was 11, we had a difficult decision to make. Which secondary school would we choose? We didn’t have a lot of choice. There was Magna Carta or… Magna Carta. And at the time it didn’t have the excellent reputation it has now. Louise was leaving Charters that Summer so we could not benefit from the sibling rule. We decided to apply for Magna Carta, Charters and Ranelagh. Not surprisingly we were turned down for Charters and Ranelagh as we lived outside the normal catchment area. Moving house was not an option. So we appealed – we had nothing to loose. We went to the appeals hearing at Ranelagh and discovered there were about 20-25 other families present. Having never done it before I didn’t know what to expect. Quite soon after the hearing began, the lady chairman asked the appeals panel, made up of several clergy, to retire to another room. I tried not to look at the other parents. I felt bad that we were competing with other families for a handful of places that might be granted on appeal. All would have good reasons for wanting to send their child to the school. After what seemed an age, the panel returned. The chairman made an announcement. The appeals had been upheld – all of them. The chairman closed the meeting. We were stunned. What had happened? We found out later that as a Church of England school, Ranelagh’s governors had set a number of faith criteria for admissions. Living in the Deanery was one. Attending an Anglican church was another. Being on the electoral roll was a help. Attending church weekly, as opposed to monthly, participating in a weekly Bible study group, or serving in some capacity, gave you additional points. Like any Deanery, there were Evangelical, Anglo-Catholic and Liberal parishes. In some, membership is nominal and church attendance occasional. Over the years, the evangelical churches, which had a higher expectation of members, were gaining more places at the school. Parents in some of the other parishes were moaning to the clergy, who in turn complained to the governors. So the admissions panel agreed to share out the places to keep everyone happy. But they did not follow their own admissions criteria, which is why, that year, all 20+ appeals were upheld. Now if you’ve been around Christ Church a while, or you have taken a look at our website, you will see that we take an orthodox, conservative, biblical position on matters of theology, faith and ethics. We have a dynamic 2020 Vision and Five Year Plan. We are committed to evangelism, discipleship and mission. We affirm the Anglican membership scheme. We expect members to have a daily devotional life of bible reading and prayer, to attend Sunday services every week, to serve on one or more of our ministry teams, to participate in a mid-week bible study small group, to give willingly and sacrificially, to share their faith with family and friends and support our community based events and mission partners. In an increasingly pluralistic, secular and hedonistic culture, we could be classified as a ‘high-demand’ church. But if we are honest, we would have to admit that we are demanding only up to a point. In his book, Jesus, Mean and Wild, Mark Galli points out, “Our Lord is not the least bit interested in founding a country-club religion. This morning I want us to consider why Jesus set what appears on the surface to be impossibly ‘high-demands’ of those who would follow him. Please turn with me to Mark 8. Our passage today comprises three paragraphs. I’ve turned each into a question to help us understand why Jesus set the bar so high. Who is Jesus? Why did Jesus come? What does Jesus expect of us? If you were to go around asking your friends, “What do people say about me?” Or “Who do you say I am?” they might take it as an evidence of pride or dementia. But what we believe and say about Jesus Christ will determine our destiny. Your answer is a matter of life or death. The citizens of Caesarea Philippi might affirm, “Caesar is lord!” Such a confession might identify them as loyal Roman citizens. But it would never save them from their sins, or deal with their eternal separation from God. Some thought Jesus was John the Baptist. Some said he was one of the prophets, like Jeremiah. That is how Muslims typically view Jesus today. In His teaching, in the way he fulfilled prophecy and through his miracles, Jesus gave ample proof that He was the Son of God. Peter’s confession appears bold and uncompromising, just as ours should be: “You are the Messiah, the Son of the living God!” (Matt. 16:16) So why does Jesus warn them to keep quiet about this? As we see in the very next few verses the disciples themselves still had much to learn about Jesus. The crowds were looking for a political Messiah. The last thing Jesus was going to do is lead an armed revolution against the hated Roman authorities. The disciples needed to know who Jesus claimed to be but they could not proclaim it until they understood why Jesus had come. So, first question is: Who is Jesus? 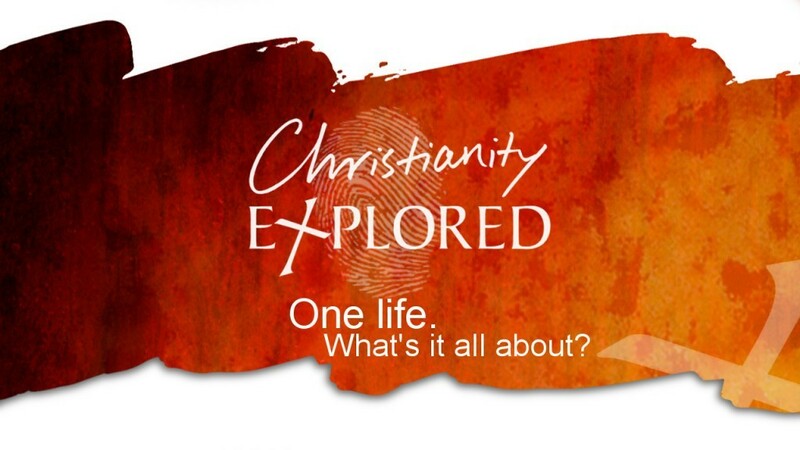 If you are not sure, then come on our Christianity Explored course starting Thursday 7:30pm. First question: Who is Jesus? Only when they had recognized Jesus as the Saviour could he explain what kind of savior – explain how he would accomplish salvation. He was going to Jerusalem where He would die on a cross as the Passover lamb. This announcement stunned the disciples. If He is indeed the Son of God, as they had confessed, why would He be rejected by the religious leaders? Why would they crucify Him? Didn’t the Hebrew Scriptures promise that Messiah would defeat all their enemies and establish a glorious kingdom for Israel? True to character, it was Peter who voiced their concern. One-minute Peter was led by God to confess his faith in Jesus Christ, and the next minute he was expressing the thoughts of Satan. This is a warning to us that when we argue with God’s Word, we open the door for Satan’s deceptions. Peter began rebuking Jesus. Mark uses the same word that describes how Jesus rebuked the demons. Peter’s protest was born out of his love for his Lord but also his ignorance of God’s word. One minute Peter was a “rock,” and the next minute he was a stumbling block. Peter did not yet understand the relationship between suffering and glory. When Jesus rebuked Peter, He looked at His disciples for they too needed to hear. “The Son of Man must suffer” said Jesus. He came to die in our place. To reconcile us to God. If you are still not sure why Jesus came, then come on our Christianity Explored course starting Thursday. How does this compare with our understanding of church membership? Mark Galli says: “The point is simply this: if we’ve given ourselves to a contemporary, high-demand expression of faith, we should recognize that it doesn’t even approach the demands Jesus makes of us… And when this reality hits us from time to time as well it should… the only reasonable reaction is fear and trembling. What else would a sane person do after realizing that Jesus wants nothing less than all of us – every molecule, every breath, ever ounce of energy, every interest, every passion, every thought, every action, every love?” What does Jesus expect of us? Everything. Jesus expects our all for him, because he gave his all for us, and wants us to share his life with us. Jesus asks two rhetorical questions to drive this home. 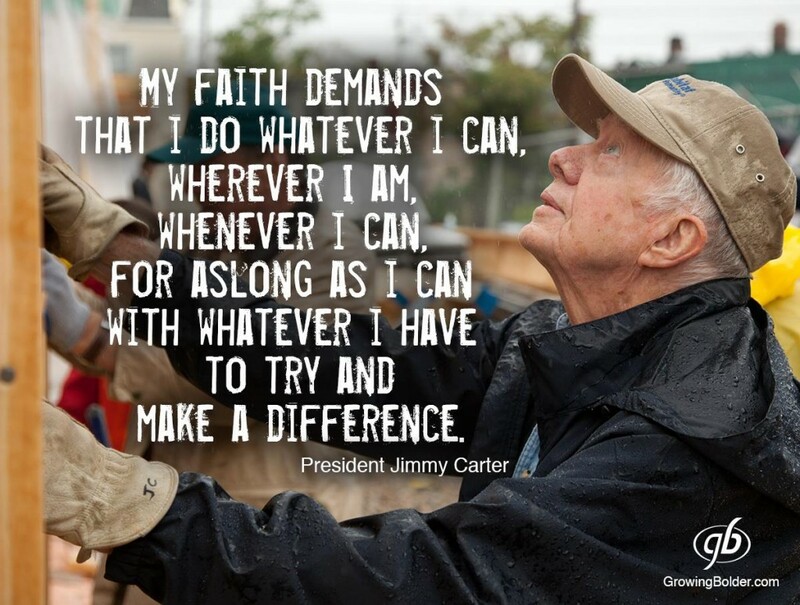 The second rhetorical question Jesus asks: “Or what can anyone give in exchange for their soul?” (Mark 8:37). Answer: Absolutely Nothing. One translation puts it “what can a person give to buy back their life?” The fact is, if we live for ourselves, we will lose ourselves, but if we invest ourselves for Jesus sake we will find ourselves, with Jesus now and in eternity. If you are still not sure who Jesus is, or why Jesus came, or what he expects of us, then come on our Christianity Explored course starting Thursday. Who then is Jesus? He is God the Son, in human form. Why did Jesus come? To die to take away our sin, so that we can know God as our loving, forgiving Father, and enjoy him forever. What does Jesus expect of us? To follow him, wherever God’s Holy Spirit leads us, empowers us and wishes to expend us for his glory. Lets pray. Quoted in Mark Galli, Jesus, Mean and Wild, p. 133. This entry was posted in Bible, Evangelism, Persecution, Sermons, Theology on January 31, 2016 by Stephen Sizer.